Another girl was attacked by a coyote in Rye Tuesday while playing in her yard, a scenario eerily similar to the attack on a six year old Emily Hodulik on LaSalle Avenue Friday. Rye police are urging parents to keep their children indoors, especially during the early evening hours, after a second young girl was attacked by a coyote in the past four days. "This is a threat to public safety and we’re treating it as such," Mayor Doug French said at a news conference Wednesday morning. A 3-year-old girl was bitten on the left side of her neck and torso in the rear of her 80 North Street home at about 7:15 p.m. on Tuesday, Police Commissioner William Connors said. The girl was playing with a 6-year-old neighbor when the coyote jumped from behind a rock at the rear of the homes and knocked the girl to the ground. The neighbor shouted, "Mommy, coyote," alerting the parents to the attack. The victim’s father and the neighbor’s mother made noise and ran toward the girl, and the coyote fled. The 3-year-old girl, who has not been identified, was taken to Westchester Medical Center for treatment. A 6-year-old girl, Emily Hodulik, was attacked on Friday night by two coyotes in front of her LaSalle Avenue home. "It changes the equation for us," Connors said. Connors said police who were assigned to a special coyote detail were within one block of the home when the Tuesday night attack occurred and responded within one minute of the 911 call. Connors said police found the coyote in a nearby cemetery but were unable to fire a shot due to traffic and passing trains. Police continued their search throughout the night, and at 1 a.m. Wednesday morning located a coyote on Boston Post Road near Sonn Drive and fired a shot. It was unclear if the animal was hit or if it was the same animal involved in the attack. It was the third shot fired at coyotes in the past four days. Connors said there is no reason to believe the animals are rabid but said he has been able to find no other explanation for the attacks. "There is simply not a textbook on this," he said. "We have a very, very unusual situation here." Additional police have been deployed to areas where children congregate, he said. Connors said police planned to continue aggressive hunting and trapping efforts but urged residents not to take matters into their own hands. It is illegal to shoot a firearm in Rye. "We understand the emotion that’s involved and the fear that’s involved," he said. Connors said any trapped animals would be killed and not relocated. Nine coyotes had been relocated since April. "It’s virtually impossible to eradicate them," he said. "The goal is to rekindle that fear of human interaction." Residents should either call 911 or 914-967-1234 to report any coyote sightings. Mary Gillick, a naturalist at the Rye Nature Center, said she believes she has seen the coyote involved in the Tuesday night attack and thinks its den could be on the 47-acre property. The 3-year-old victim’s home is behind the nature center. Gillick said the animal, which was most recently seen by another employee within the past few months, does not appear to be sick. She described it as about 4 feet long and approximately 40 pounds. "We suspect it’s the same one based on the size of it," she said. Gillick said she has received numerous calls from parents expressing concern. "You have to be concerned and take precaution," she said. "We’ll be on guard more so than we normally would." 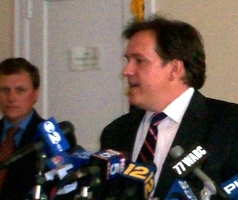 At approximately 7:15 P.M. on Tuesday, June 29, 2010, a three year old girl was bitten by a coyote in the vicinity of North Street and Hammond Road. The girl was playing with a six year old neighbor in the rear yard between their two houses. The victim’s father was on the deck. A coyote jumped from behind a rock in the fence line at the rear of the homes, jumped on the girl, and knocked her to the ground. It bit her on the left side of her neck and the left side of her torso. The six year old girl screamed “Mommy, coyote,” alerting the victim’s father, who began making noise and running toward her, and her own mother, who exited the house and did the same. The coyote released the girl and fled. The victim was taken to Westchester Medical Center for her injuries. Officers who were assigned to a special detail searching for coyotes were within a block of the home and responded within one minute of the 911 call. They pursued the coyote, guided by telephone reports of sightings, and made visual contact with it in a nearby cemetery. However, they were unable to get a clear line of fire at it due to passing trains on the Metro North tracks and traffic on Interstate 95. A perimeter was established around the neighborhood with the assistance of members of the Harrison Police Department and the Westchester County Department of Public Safety. Police Officers were assigned to several neighborhoods for an extensive search, and professional trappers and police officers set up observation posts in remote areas. The Westchester County Police Aviation Unit searched the area with infra-red heat detection equipment. A coyote was sighted nearby in Harrison, but no other sightings were reported. At approximately 1:00 A.M., a coyote was spotted on Boston Post Road. An officer fired a shot at it, but it was uncertain whether the animal was hit. It fled and was not located. This is the second coyote attack within four days; on Friday, June 25, 2010, a six year old girl was attacked in front of her home. Coyote attacks on humans are extremely rare, and these incidents represent highly abnormal behavior. There is no clear explanation for them. We will continue aggressive hunting and trapping efforts until we believe this problem has been addressed. The customary advice to people confronted by coyotes is to act aggressively – to make loud noises or throw objects at them, and not to run away. However, in light of these two extraordinary incidents, we advise residents not to allow small children to play outdoors, particularly during the early evening hours when these attacks have occurred. If they are allowed to play outdoors, parents should be in extremely close proximity. Coyote sightings should be reported immediately by calling 911 or the Police Department’s main number, (914) 967-1234. 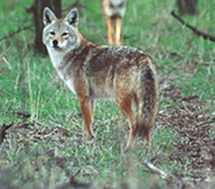 General information about coyotes is available on the City of Rye’s website, www.ryeny.gov. Police Commissioner William Connors, who will be holding a press conference Wednesday, was giving a speech at the Jay Heritage Center about police efforts to ensure public safety after Friday’s coyote attack when he says he got the call. The attack happened at 80 North St., not far from the Rye Nature Center, while the girl was playing with friends in her fenced backyard. Police say the coyote jumped over a rock behind her home. Reports indicate the child was bleeding from the neck and was taken to the hospital but her injuries did not appear life threatening. Police have received several calls since Friday’s attack about coyote sightings, in one case roaming the Glen Oaks neighborhood with rifles drawn. At this time, no coyotes have been caught. I learned this great trick to keep out ALL wild life without harming them!! Go out and by the CHEAPEST amonia you can find and spray it all around the property and you’ll never see them come on your property again for months! The smell dies off but the aroma stays in the ground!! IT works!! Coyotes are quicker and faster than a bear!! same way of getting there kill! !